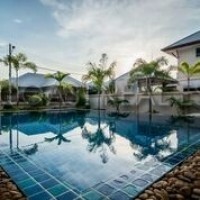 Quality 3 bedroom home, with seperate guest house , located outside Pattaya , just off the freeway to Bangkok, with easy access to International Schools. House is fully furnished with alarm system. Good sized private pool and patio area. Living area : 268 sqm.